Michael Nielsen, a well known computer scientist and Quantum Computing expert [author of famous: ‘Introduction to Quantum Computation and Quantum Information,’ with Isaac Chuang, has written a nice book in expository detail about Deep Learning. Nielsen’s new book, Neural networks and deep learning here, has taken a more modern approach to (web) publishing in releasing the whole book in Creative Commons Non-Commercial Share Alike [NC-SA] license. இந்த புத்தகத்தில் கணினி தரவுகளைக்கொண்டு எப்படி [ஒரு படிபடியான் நிரல் இல்லமல், தரவின் கற்றல் வழியே மற்றும்] நிரைய செயல்பாடுகளை சாதிக்கமுடியும் என்றும், இதன் அடிப்படையான செயற்கை நரம்புகளின் பினைப்புகள் மற்றும் அதன் கோட்பாடுகளையும் உடைத்து வைக்கிரார் திரு. நீல்சன். அல்வா மாதிரி ருசித்து பருகுங்கள். பொறியாளர்கள் கவணம்! இதனை தமிழாக்கம் செய்யலாம் – முனைவீர்களா? At this time I do not have an analysis on this report itself; but it does seem like India is trying to (in principle) catch up with other nation states. The current hot trend in AI revolution is “deep learning” – which is a fancy way of talking about multi-layered convolutional neural networks; this field of study has heralded a new age in computing extending human capabilities by automation and intelligent machines . These neural networks aren’t the same as neuron networks in your brain! We are talking about artificial neural networks which reside in computers and tries to mimic the biological neural network with its synapses (connections) of axons, dendrons and their activation potentials. These thinking machines have their beginnings in post WW-II research at MIT, in the work of Seymour Papert who introduced “Perceptrons,” and Norbert Weiner’s “Cybernetics”. But do we know why there is sudden interest in these biologically inspired computer models ? It is due to GPUs which has accelerated all the complex computations associated with neural networks for it be practical in such a large scale. They allow these networks to operate on gigabytes (or even terabytes) of data and have significantly reduced the computation time from months to days, or days to hours, or hours to minutes usually by an order of magnitude – not possible in an earlier generation of computing. Before we jump into the details let us understand why we need deep learning and convolutional neural networks in the first place. Science and engineering have traditionally advanced by our ability to understand phenomena in natural world and describe them mathematically, since the times of Leonardo Da Vinci, Nicolas Copernicus, Galileo Galilei, Tycho Brahe, Johannes Kepler and Isaac Newton. However gaining models through experimentation and scientific breakthroughs piece-meal for each problem at hand is a slow process. Outside of Physics and Mathematics the scientific method is largely driven by an empirical approach. It is in such pursuits of building models of unknown processes where observational data far exceed our human intelligence to divine an analytical model, the advent of deep learning and GPU based multi-layered neural networks provide an ad-hoc computable model. System identification for particular classification tasks, image recognition, and speech recognition to the modern miracle of a self-driving cars are all enabled by deep learning technology. All this came about due to the seminal work of many innovators culminating in the discovery of efficient convolutional neural networks by Prof. Geoff Hinton, who trained them by hardware acceleration via GPUs. An original pioneer in the field of AI, before the AI winter, Prof. Geoff Hinton and co-workers  recently showed deep learning models that beat status-quo benchmarks on classification and prediction tasks on the following speech, text or image datasets: Reuters, TIMIT, MNIST, CIFAR and ImageNet, setting off the renewed interest in the field of AI from academia and industry giants – Google, Microsoft, Baidu and Facebook alike . What is a GPU ? GPU stands for Graphics Processing Unit . These were originally designed for graphics rendering used in video games in 1990s. They have a large number of parallel cores which are very efficient for doing simple mathematical computations like matrix multiplications. These computations are the fundamental basis for machine learning methods such as deep learning. While the improvement in CPUs over years has slowed down over the years as Moore’s law has hit a bottleneck, the GPUs increase in performance has continued unabated showing tremendous improvements over the generations. Figure. 1 (left): Deep Learning training task times as function of various GPU processors from NVidia. Figure. 2(right): AlexNet training throughput for 20 iterations on various CPU/GPU processing platforms. Such GPUs were originally invented for shading algorithms algorithms, are now applied in training large machine learning models using a Open CL or CUDA like frameworks (variants of C-language with description for parallel execution via threading) from the vendors. The pioneering hardware vendors include Nvidia with their GPU series like GeForce, Tesla; AMD with its Radeon, GP GPU, Google has entered this race with its TPU (Tensor Processing Unit) and some offerings from Intel for ML training applications. Nvidia and AMD are the main players in the GPU space with Nvidia laying special emphasis on parallel computing and deep learning over the years. Nvidia just announced the new Volta generation chip based GPU V100 which is about 2.5 x faster than the previous generation chip Pascal GP100 which was announced less than 2 years ago .Compared to CPU, however GPUs are more than 50x faster for Deep learning. Performance of GPUs as function of various GPU families in shown in Figure. 1, and for another AlexNet data set is shown in Figure. 2. If the Harvard architecture and RISC architecture based CPUs have been workhorses of personal computer revolution, then the advent of high framerate video-gaming pushed the CPU based graphics rendering from CPU + Video card based rendering to CPU + GPU, to CPU + GPU + GP-GPU (general purpose GPU); some of this overview is shown in Figure. 3a, 3b. Figure. 3(a,b): Evolution of GPU performance from video graphics cards and rendering from CPU; courtesy PC Magazine ; Figure. 3(c): NVIDIA Tesla GPU applications in scientific research. GPU’s are suitable for large numerical algorithms where various data have to be moved through a computational pipeline often in parallel; this SIMD problem, like genome sequencing shown in Figure. 3c, when solved by GPU gain the maximum speedup/acceleration. However, there is a fundamental limitations of GPU acceleration due to the Amdahl’s law which saturates the parallelization upto the available serial bottlenecks for a given computational task. TensorFlow, developed by google, python API over C++ engine, low level api, good for researchers, not commercially supported; notably Google is in process of developing a TPU – an advanced version of GPU for direct use with TensorFlow. Hardware acceleration and availability of big-data (labeled datasets) will play key role in the success of applying deep learning techniques to these problems. G. E. Hinton et-al. “Imagenet classification with deep convolutional neural networks,” Advances in Neural Information Processing Systems (2012). LeCun, Y., Bengio, Y. and Hinton, G. E., “Deep Learning” Nature, Vol. 521, pp 436-444. (2015), link. GPU definition at PC Magazine Encyclopedia, PC Magazine, (2017) link. Tesla GPU Application notes from NVidia, (2017) link. “Comparing deep learning frameworks”, Deeplearning4j.org (2017), link. Prashanth Vijayaraghavan, Mishra Sra, “Handwritten Tamil Recognition using a Convolutional Neural Network,” NEML Poster (2015) link. R. Jagadeesh Kannan, S. Subramanian, “An Adaptive Approach of Tamil Character Recognition Using Deep Learning with Big Data-A Survey”, Proceedings of 49th Annual Convention of Computer Society of India (vol. 1) pp 557-567 (2015), link. Given a series of Tamil alphabets, how do you decide if the letters are true Tamil word (even out of dictionary) or if it is a transliterated English word ? e.g. Between the words, ‘உகந்த’ vs ‘கம்புயுடர்’ can you decide which is true Tamil word and which is transliterated ? 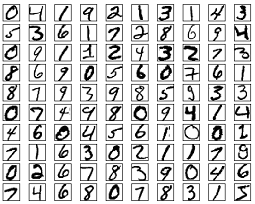 This is somewhat simple with help of a neural network; given sufficient “features” and “training data” we can train some of these neural networks easily. With current interest in this area, tools are available to make this task quite easy – any of Pandas, Keras, PyTorch and Tensorflow may suffice. Read more at the Wikipedia – the current “problem” is a classification task. Are all characters unique ? Number of repeated characters ? To make data sets we can use Tamil VU dictionary as a list of valid Tamil words (label 1); next we can use a transliterated list of words from English into Tamil as list of invalid Tamil words (label 0). Using a 1, 0 labeled data, we may use part of this combined data for training the neural network with gradient descent algorithm or any other method for building a supervised learning model. In the next blog post I will share the details of training the neural network and building this classifier. Stay tuned!